Sure, maybe the end of summer isn’t exactly the best time to be making chili. 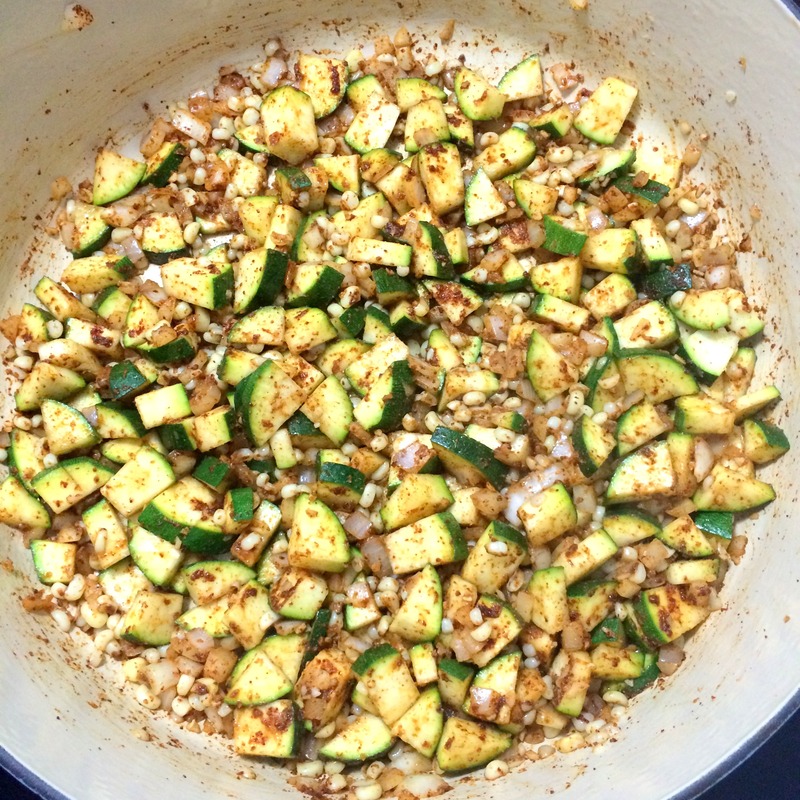 But when the main ingredients are zucchini and corn, why not make it in the summer when the produce is at it’s best? For someone like me who travels a lot for work, things like soups, stews and chilis are great to make in advance and store in the freezer so that when you come back from a road trip, a great meal cane be heated up in no time. 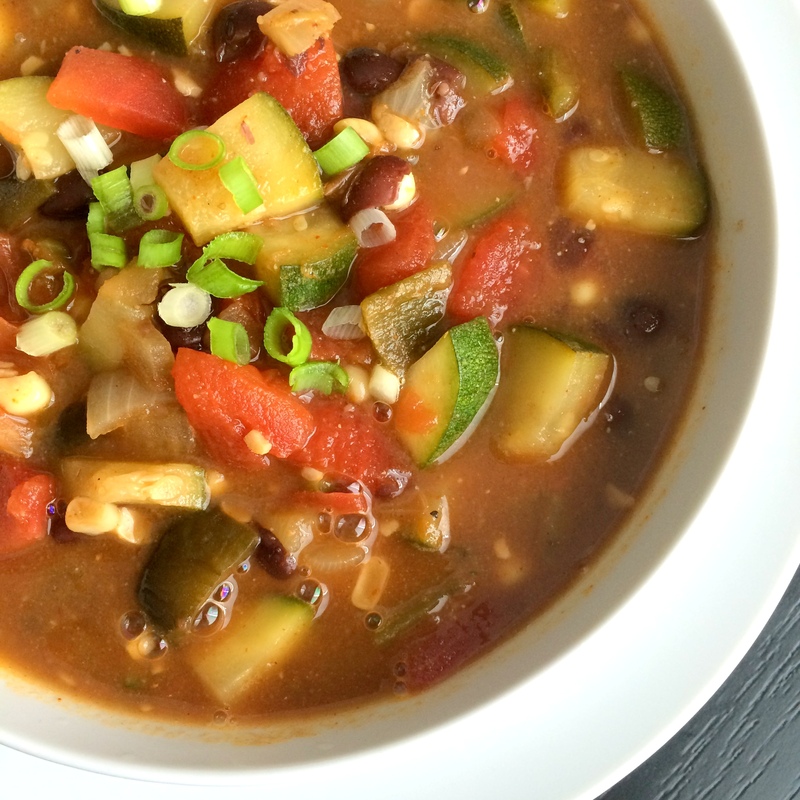 This Zucchini and Corn Chili came together quickly, freezes beautifully, and is packed with healthy flavor. 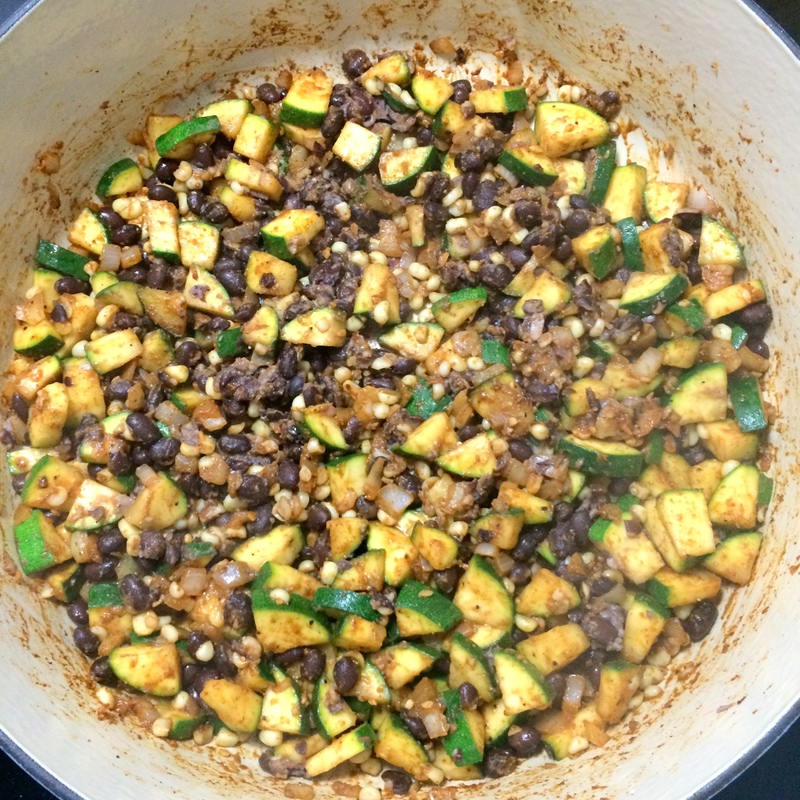 Zucchini, corn and onion are cooked with chili powder and cumin before being mixed with canned tomatoes, black beans, vegetable stock, and poblano peppers. The peppers give this chili just enough of a kick while the spices provide that perfect chili flavor. 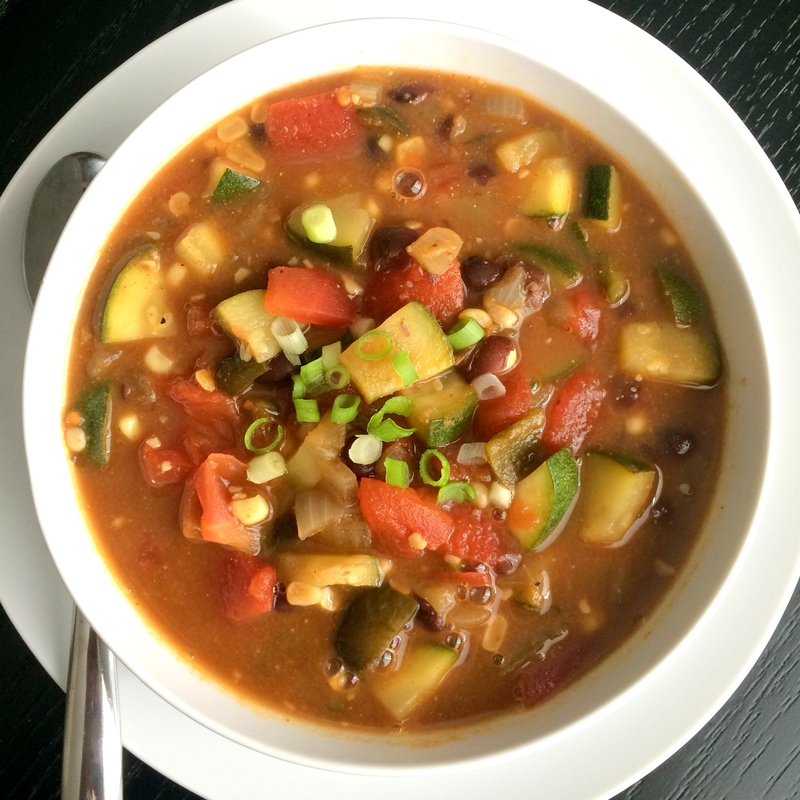 The zucchini, corn and black beans make a great hearty combination in this vegetarian chili. When I’m gone for a week and tired from traveling, knowing that my refrigerator is empty, I’ll be happy to have this chili waiting in the freezer so I can relax and wait another day to do grocery shopping. 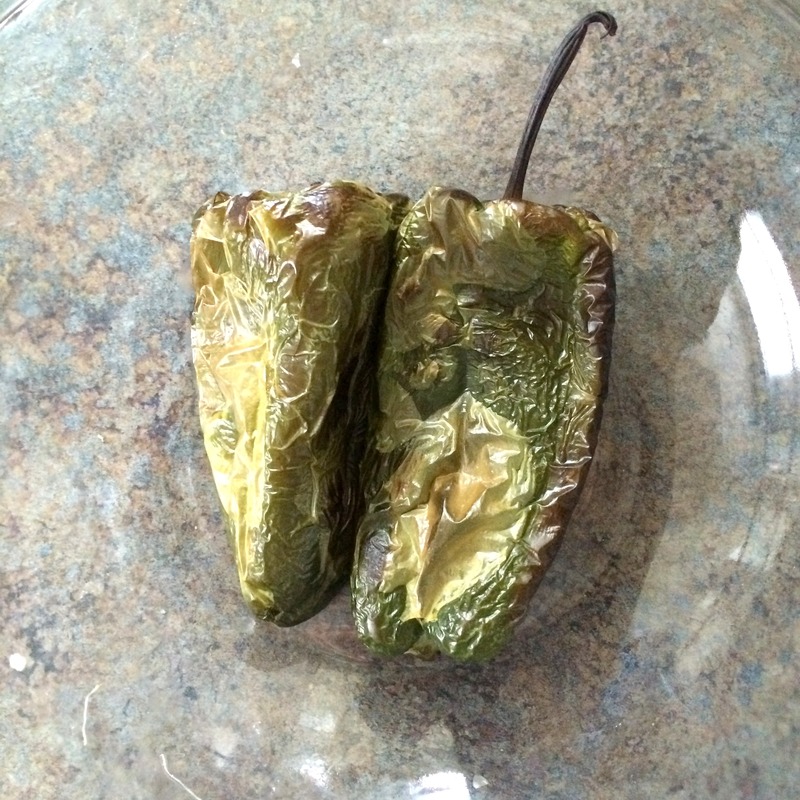 Char the poblano peppers either over an open flame on a gas burner or under the broiler. Place in a bowl and cover with plastic wrap until cool enough to handle, about 15 minutes. Peel, seed and dice the chiles. Cut the corn off the cobs. Heat a Dutch oven or other large pot over medium-high and add the oil. 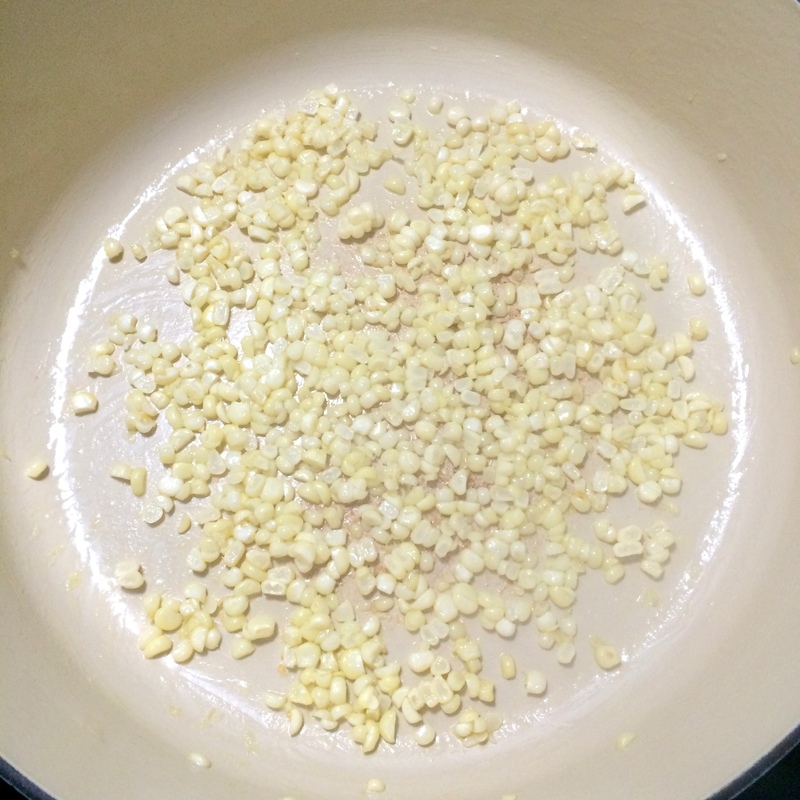 Add the corn and cook, stirring occasionally, until browned, 2 to 4 minutes. eason with salt and pepper, then stir in half the beans. In a medium bowl, mash the remaining beans with a fork; stir into the vegetables (this will help thicken the chili). Add the stock, tomatoes, honey and peppers. 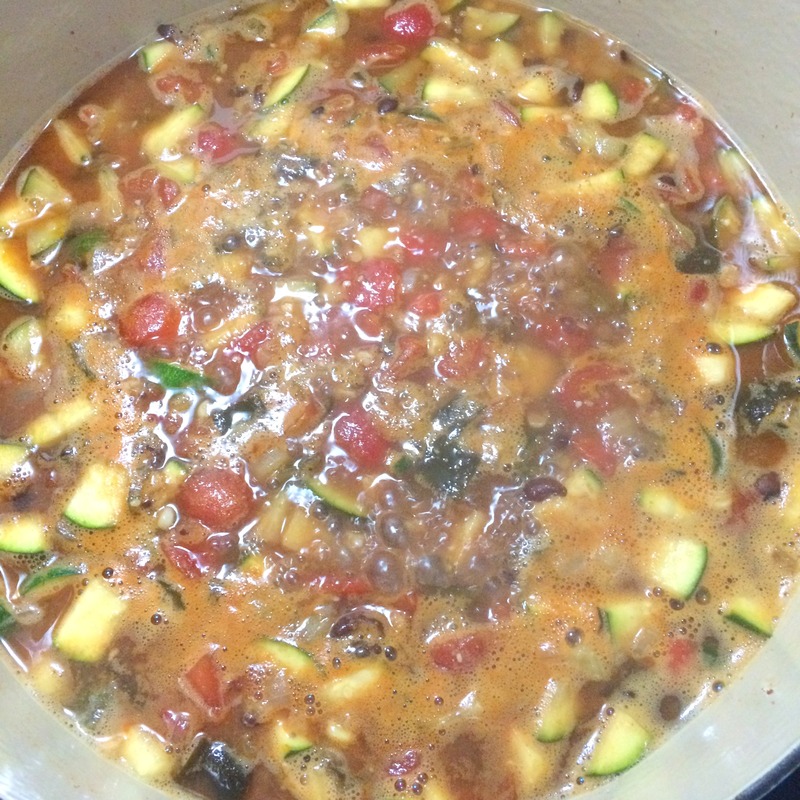 Cover and simmer until the flavors combine, 10 to 15 minutes. Stir in the cilantro and lime juice. Serve with your choice of toppings. I haven’t been very good at going to the gym lately which is making feel pretty bad about myself but I have been doing some workouts at home that are leaving my body SORE. But as we all know, it’s a good sore. Why is it so hard to stay motivated? I was doing great at being in a routine and eating so well but then a work trip and a few frozen pizzas sent me spinning out of control. Well, here we go again, me being a broken record, concentrating on eating well. I have a lot of traveling coming up over the next month so now is the time for me to get it together. I’ll need as much willpower as I can get when faced not having my own kitchen. 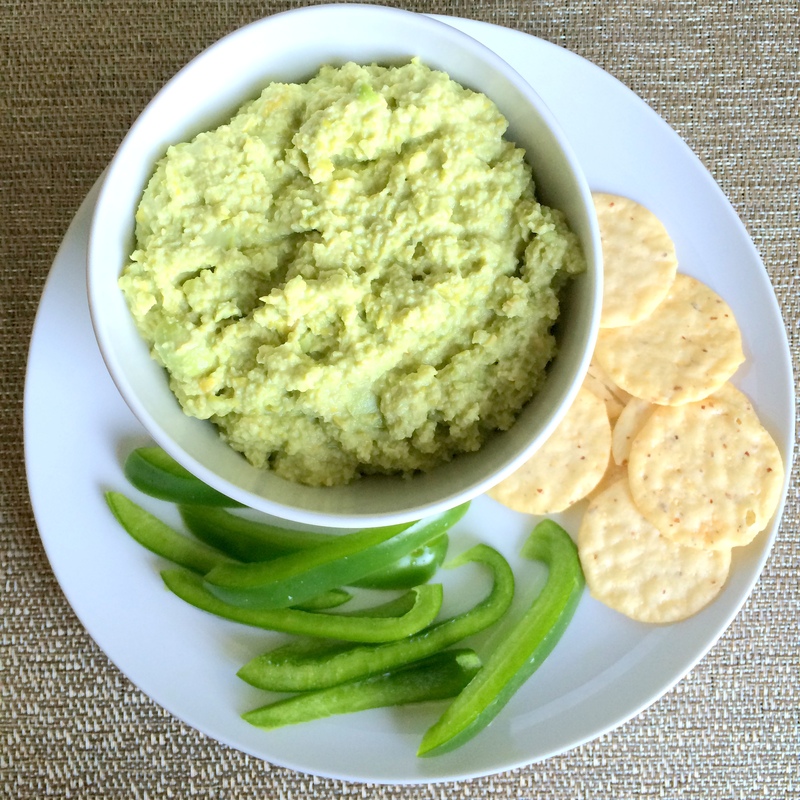 Until I head out, I’m doing some healthy snacking with this Edamame Hummus. 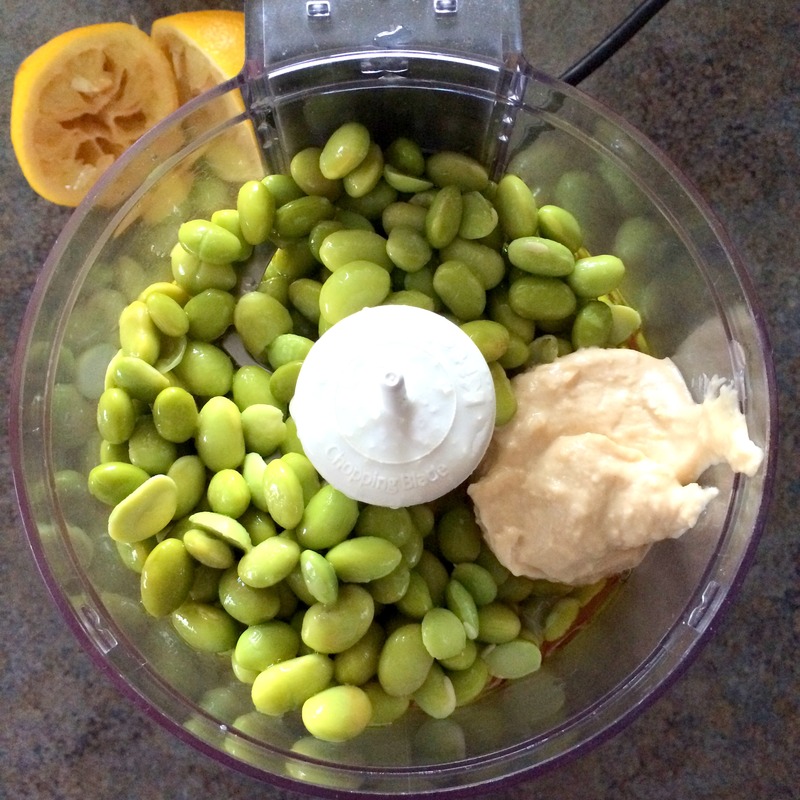 Thawed frozen edamame is whirled in a food processor with garlic, olive oil, lemon, and tahini until smooth and thick. 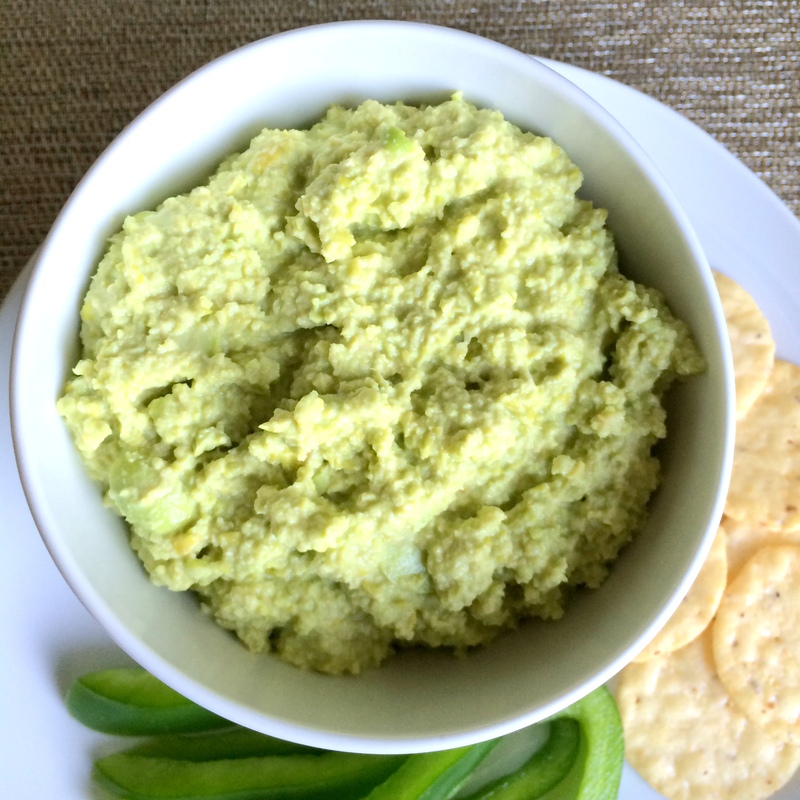 If you like edamame and you like regular hummus, you’ll like this version. 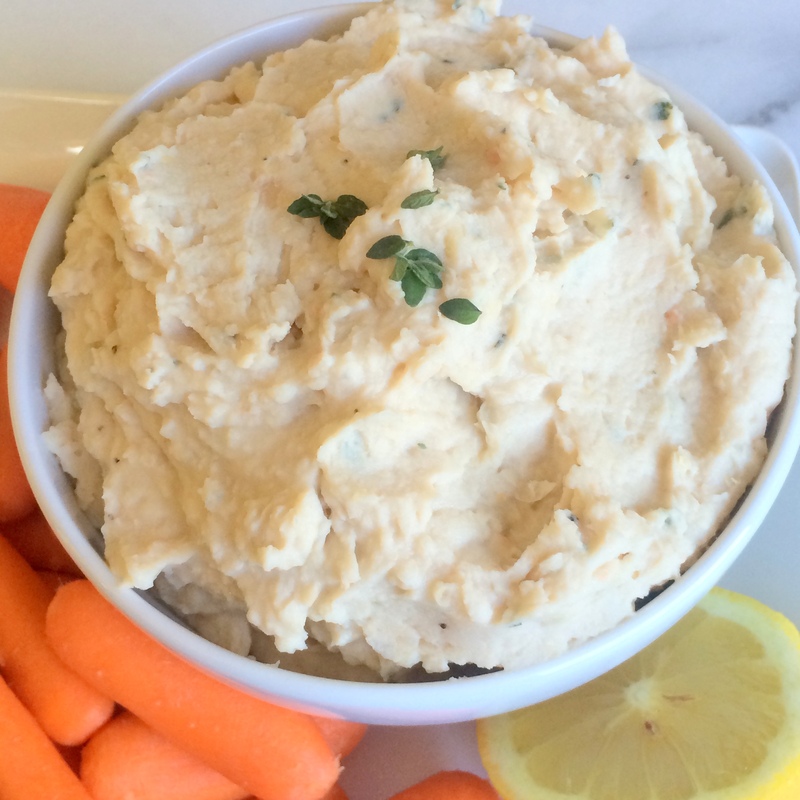 The result is a fresh and vibrant hummus that is perfect with fresh veggies or chips. I really loved this. I used a fraction of the oil that the recipe called for (only 2 tablespoons) so use your judgment on how much you want to use. Making this edamame takes two seconds so if you think you have that kind of time, give this a try. Especially if you love hummus. 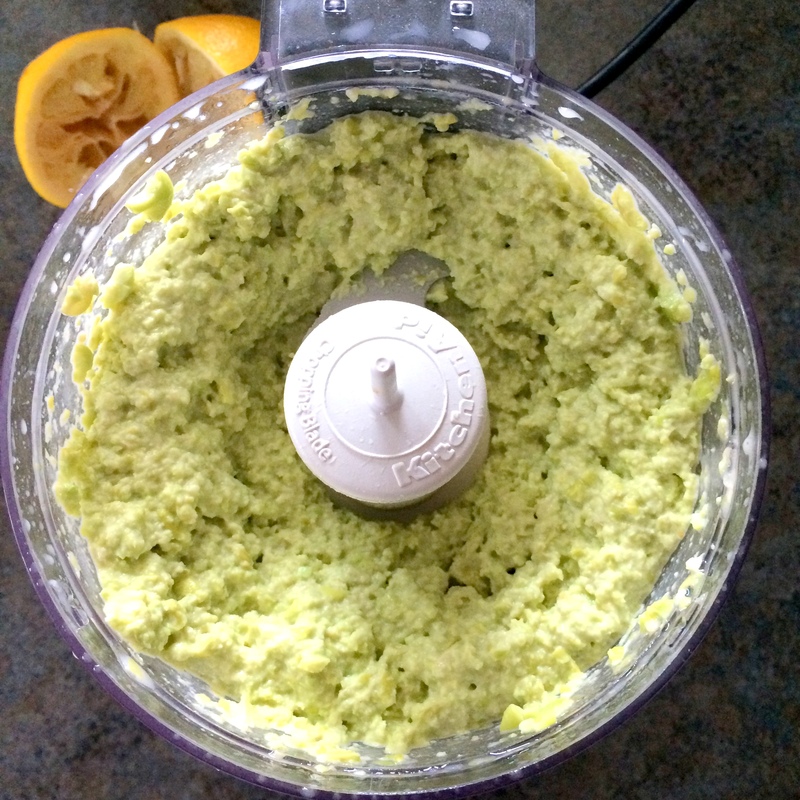 Add garlic, edamame, extra virgin olive oil, 1/4 cup water, lemon juice and tahini into the bowl of a food processor; puree. Season generously with salt. I’m really into going to the produce stand lately because the produce at my grocery store isn’t so great. I don’t like how the peppers, apples, and zucchini at the store are twice as big as the produce at the stand. What in the world are they putting in those fruits and veggies anyway? Well, the good part about getting produce at the stand is that it’s inexpensive, quality, and abundant. The problem? It’s abundant. What do I do with so much broccoli? It’s cold out who might as well make soup! 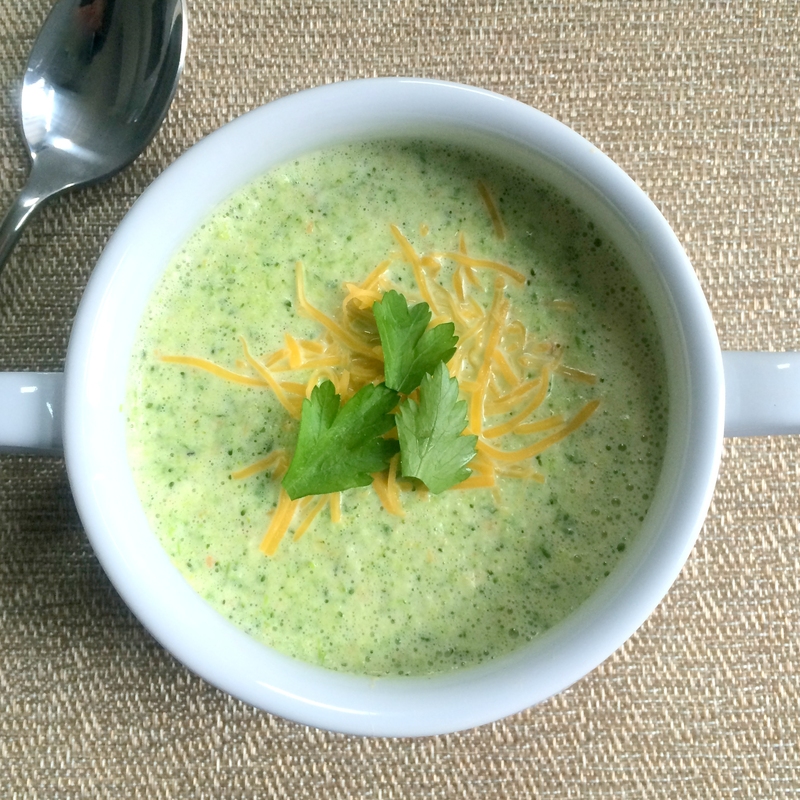 This Broccoli-Cheese Soup is a perfect way for me to use up some leftover veggies while still eating healthy. 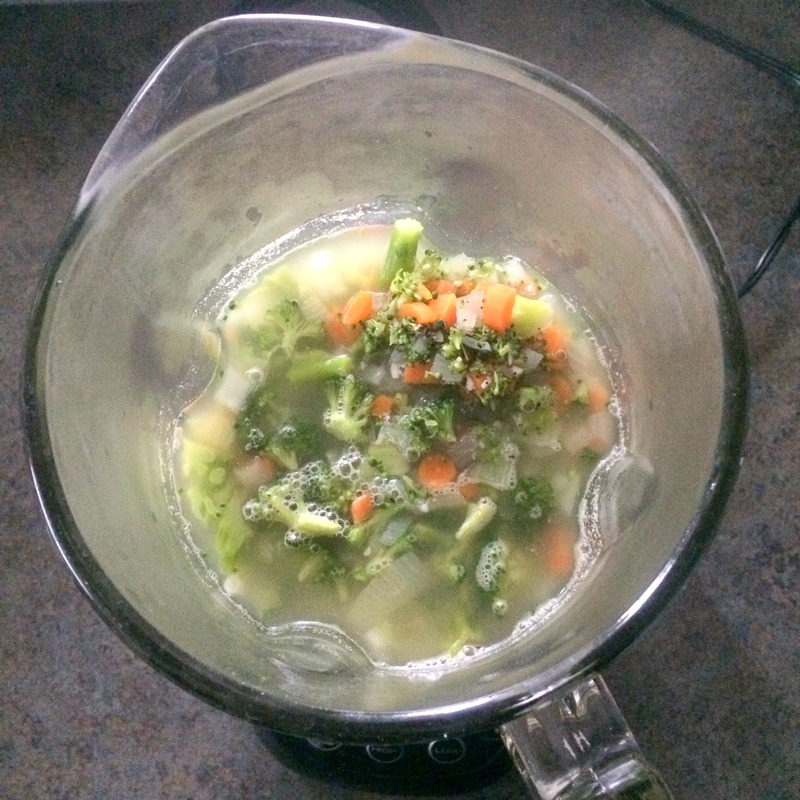 Broccoli, carrot, and onion are simmered in broth (substitute veggie broth for a vegetarian option) before being blended together and mixed with a little half-and-half and cheese. 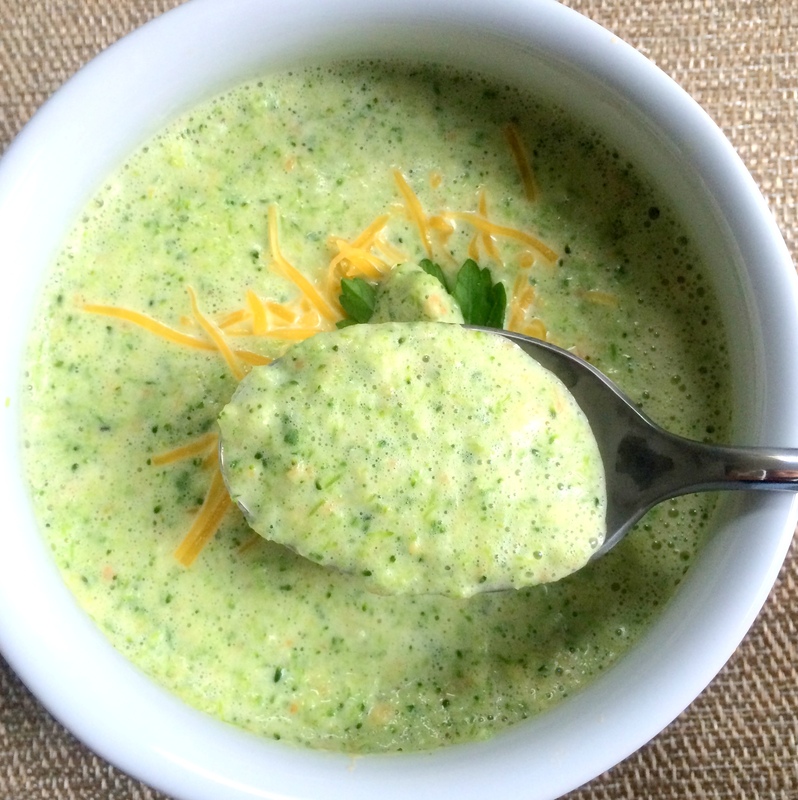 The result is a creamy, warm, and healthy soup that is cheesy enough to be satisfying but not enough to be unhealthy. 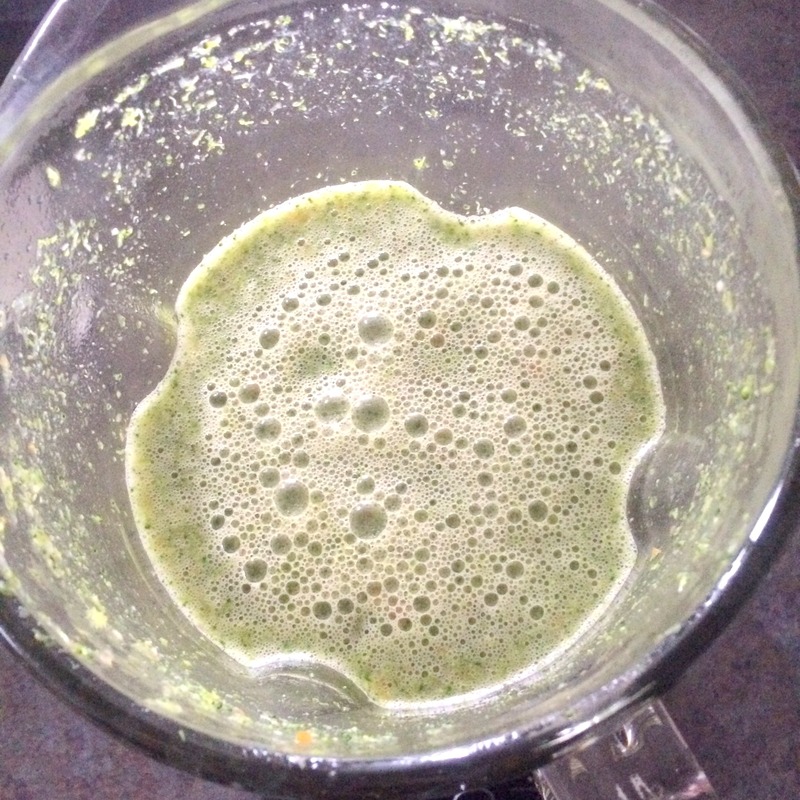 I have to admit that at the end of blending this, I decided to throw in a handful of baby spinach just because. I mean, why not? The soup is already green and plenty healthy but because I throw spinach in my smoothies, it doesn’t seem natural for me to not add spinach to whatever is in the blender. You don’t have to add spinach, obvi. This soup is perfectly satisfying just the way it is. 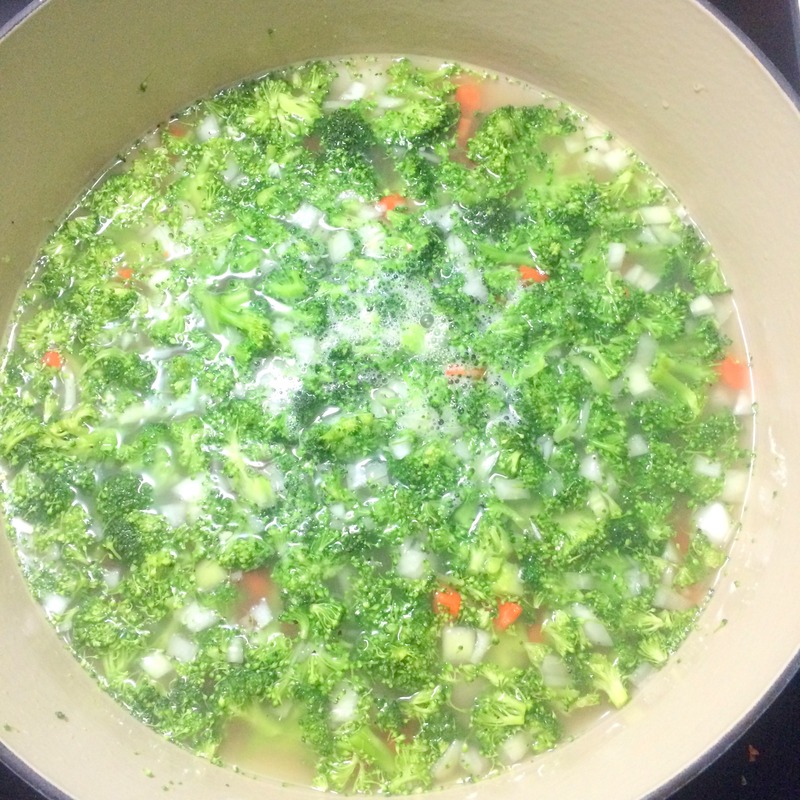 Combine stock, broccoli, onion, carrot, garlic, salt, and pepper in a large saucepan; bring to a boil. 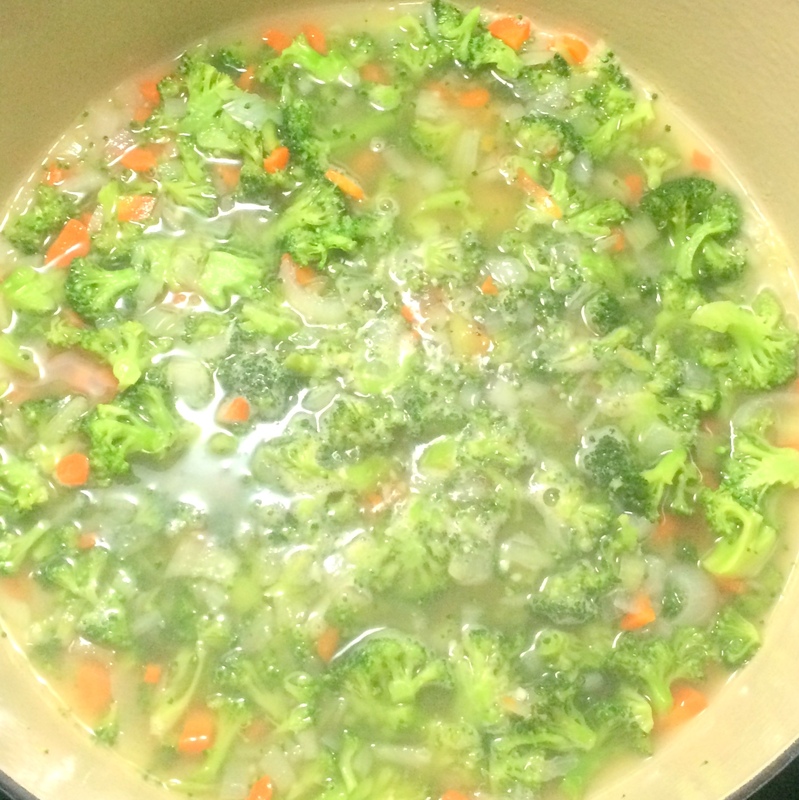 Reduce heat, and simmer 10 minutes or until broccoli is tender. Pour soup into a blender. Remove center piece of blender lid (to allow steam to escape); secure lid on blender. Place a clean towel over opening in blender lid (to avoid splatters). Return soup to pan. 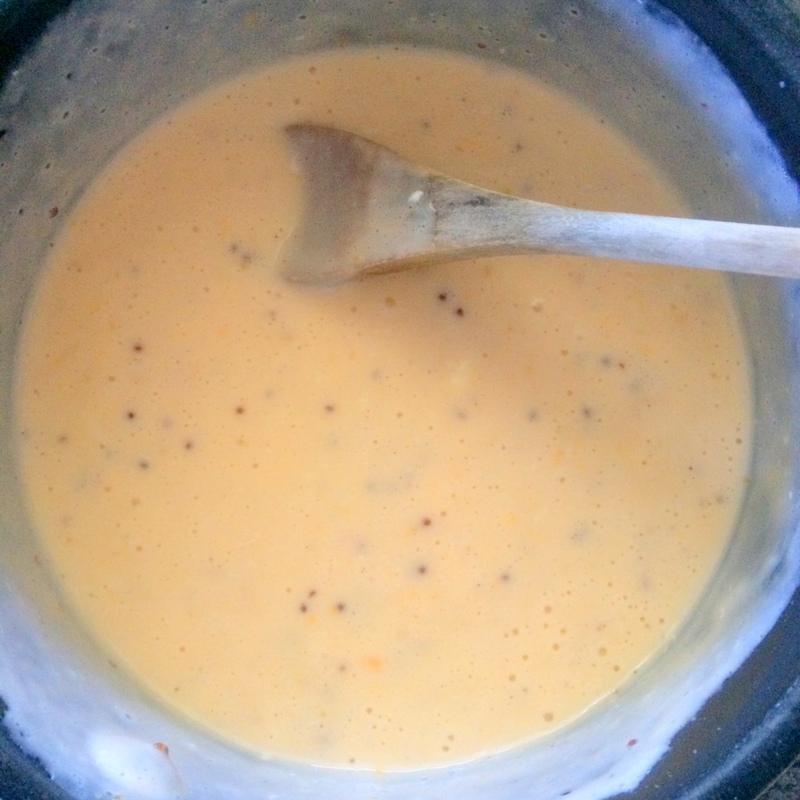 Stir in half-and-half and 2 ounces cheese. Top evenly with remaining cheese and parsley. Got a last minute invite to watch the Superbowl somewhere and don’t want to show up empty handed? Well, I’ve got a really quick, hearty and tasty salsa that can be made in a few minutes with only a few ingredients. 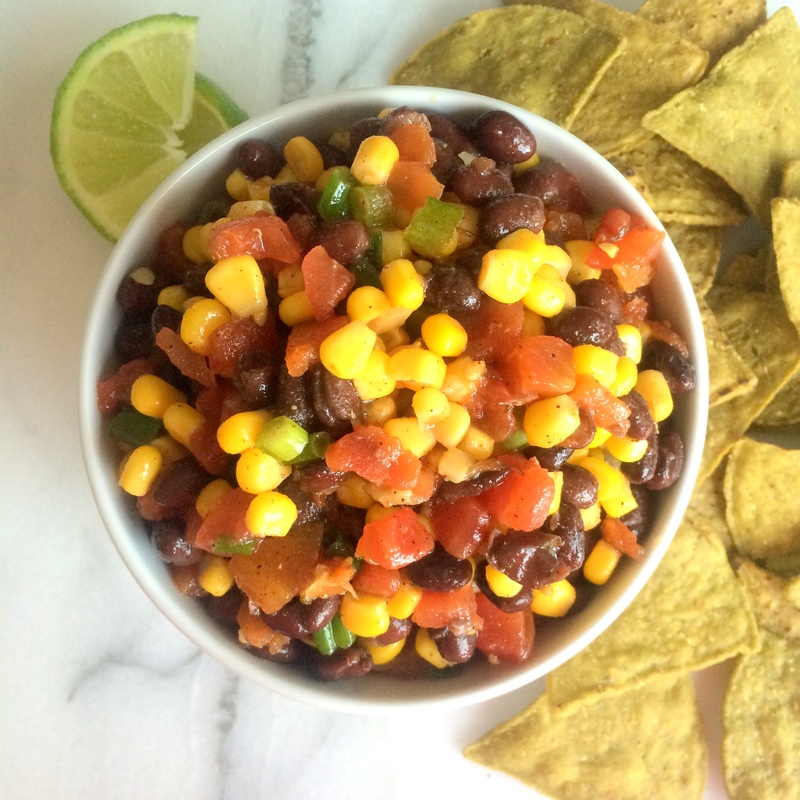 If you are someone like me who generally has canned food stocked away, this Corn-and-Black Bean Salsa will be a lifesaver when you need a quick dish or have a last minute guest to feed. 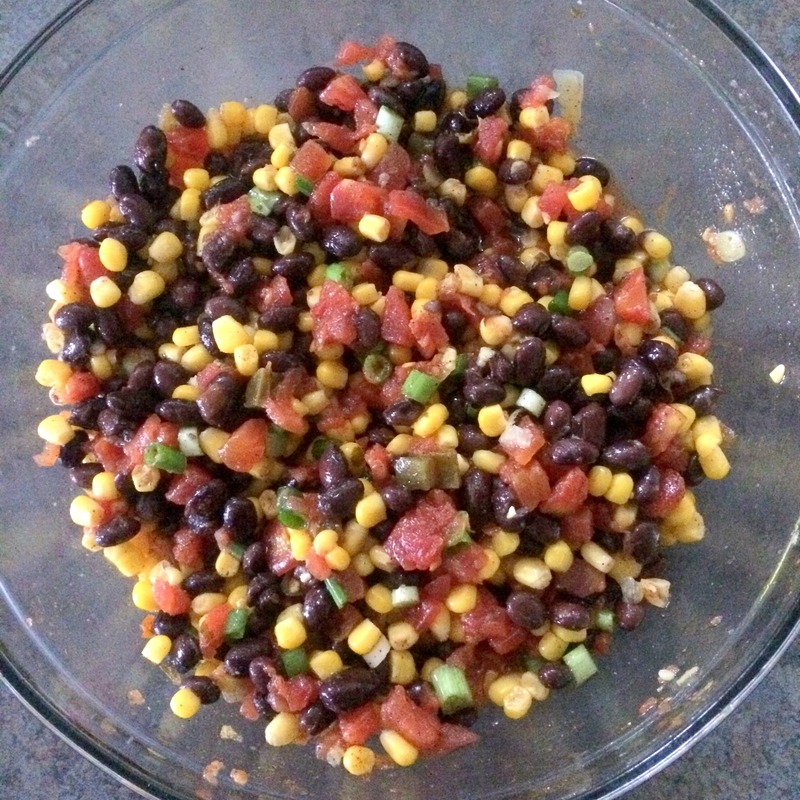 Canned corn and black beans are mixed with canned tomatoes (flavored with lime and cilantro), scallions, cumin, olive oil, and lime juice. 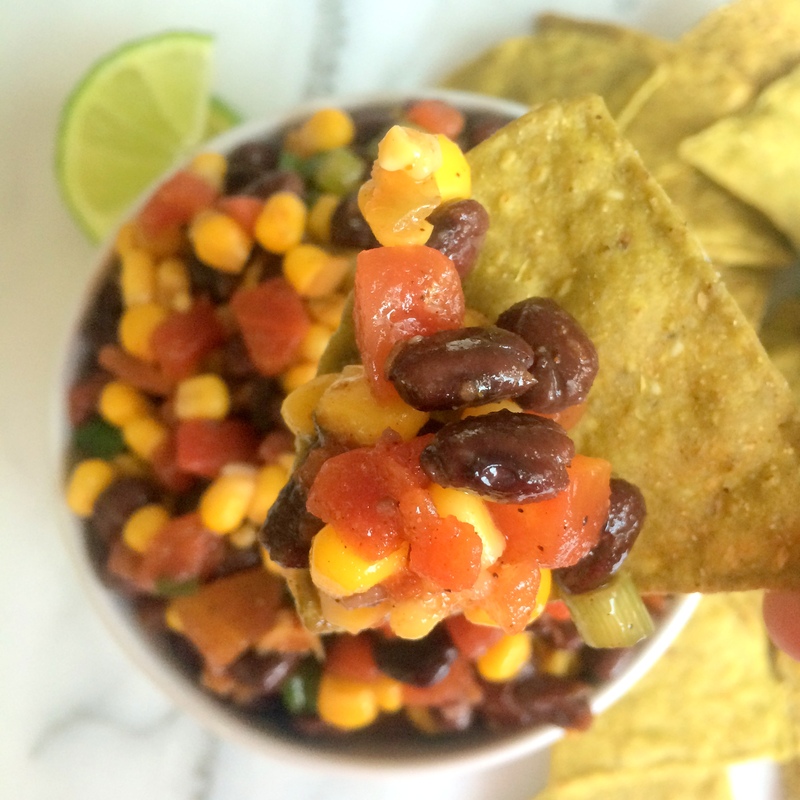 This chunky salsa is fantastic with chips as a snack or as an addition to some chicken or in a healthy salad. 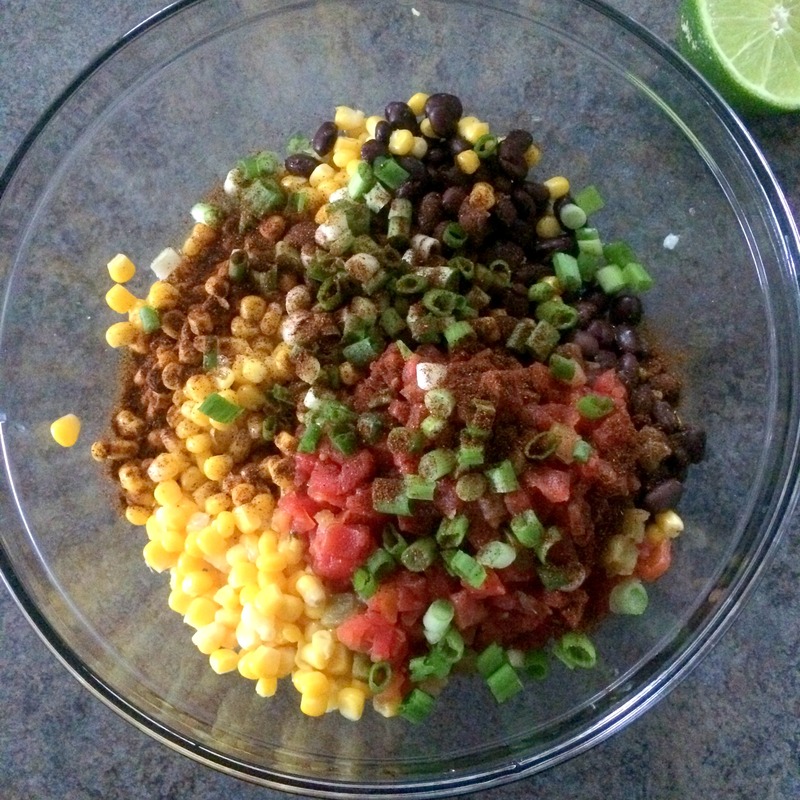 And because everything goes in one bowl and can be made quickly, there is little time needed to throw this together and very little clean up. Sure, everyone can go to the store and buy some tomato-based salsa (“from New York City? !”) but you know this salsa is so much better. Here we go again with Thanksgiving. Where does the time go? Well, hopefully you’ve got some fun and happy plans. Me? I’ll be keeping it small but my day is planned: coffee, Macy’s Thanksgiving Day parade, eat a little food, watch football, eat a little more food. Oh and drink bourbon or wine somewhere in between, depending on how I feel. 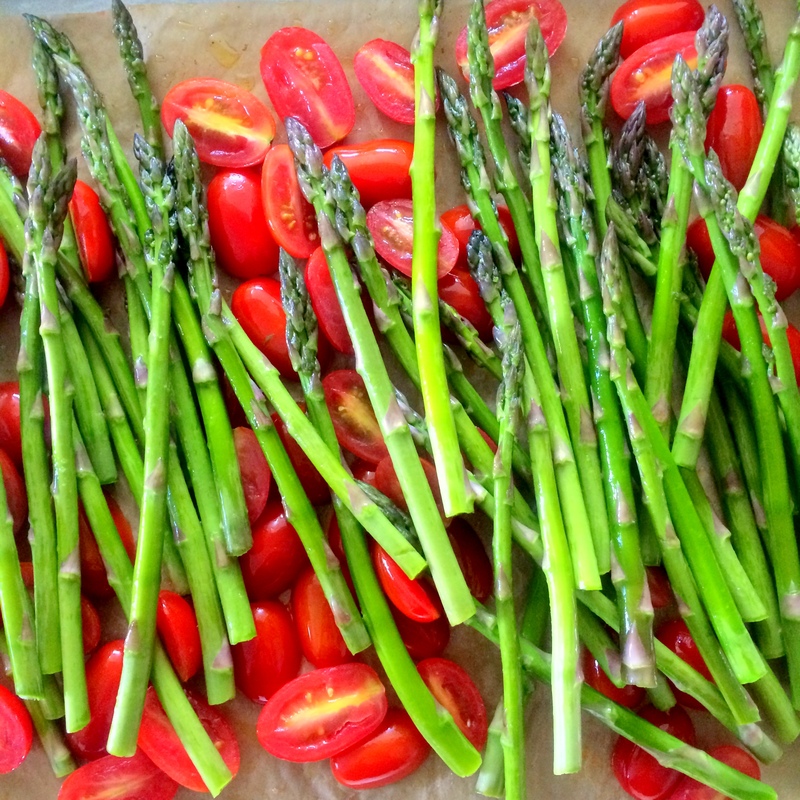 Well, I struggle with vegetables sometimes and rather than steamed broccoli or boring green beans or roasted Brussels sprouts, how about something untraditional like this Asparagus with Tomato and Feta instead? 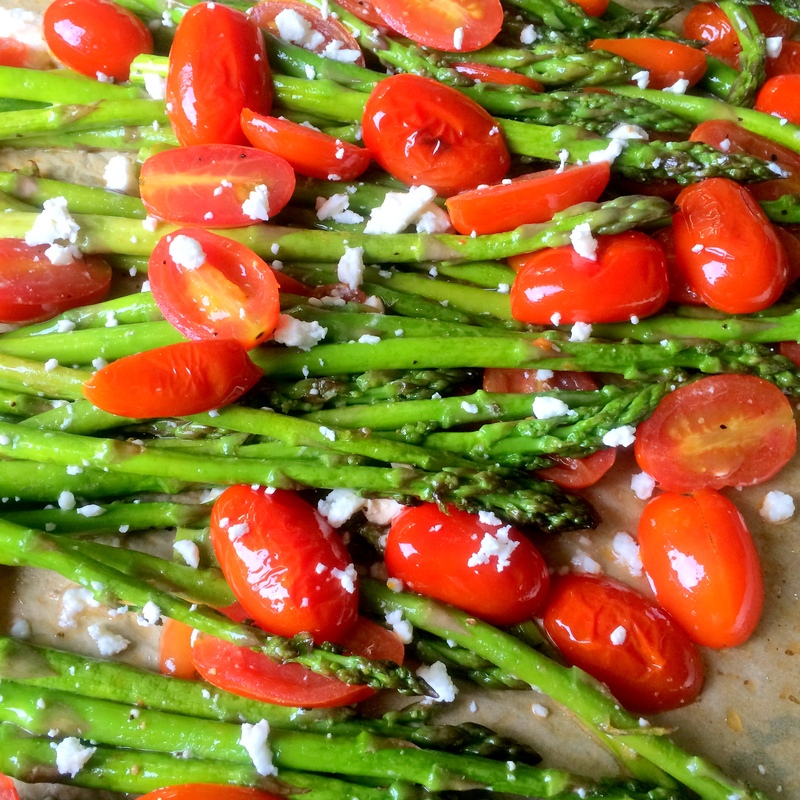 Grape tomatoes and asparagus are roasted in the oven and topped with white balsamic vinegar and feta cheese, adding tons of flavor and color to these healthy spears. Sure, this dish may look a little more like Christmas than Thanksgiving but so what? ‘Tis the season, right? Whatever veggie you dish up with your turkey tomorrow, I certainly home you enjoy it, eat a bunch, pop a button on your pants, and appreciate every second of it. Be thankful, because I’m thankful for each one of you. Preheat oven to 425°F. 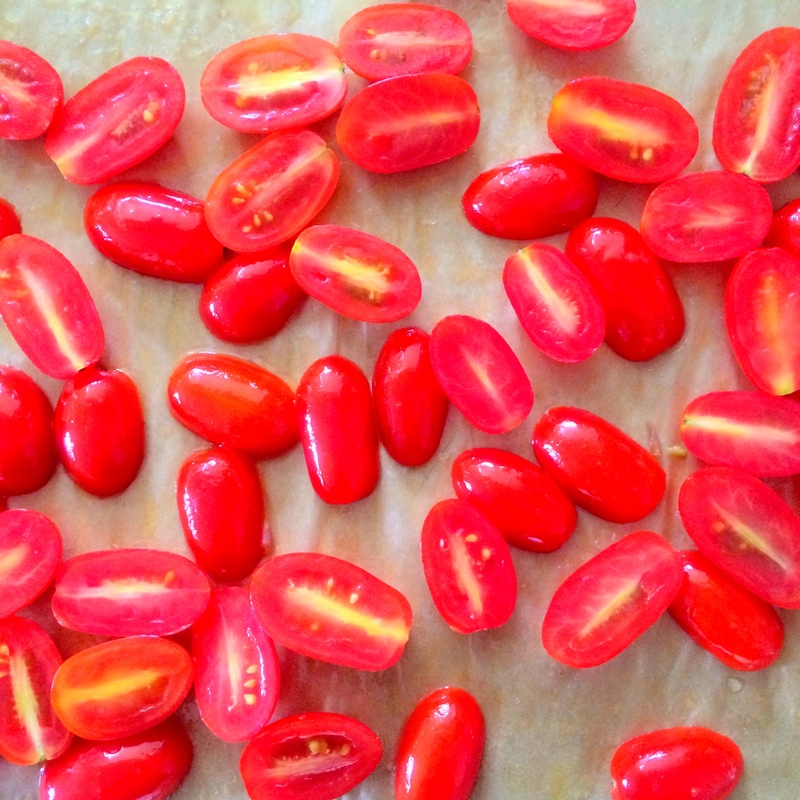 Place tomatoes and olive oil on a jelly-roll pan; toss. Bake at 425°F for 4 minutes. 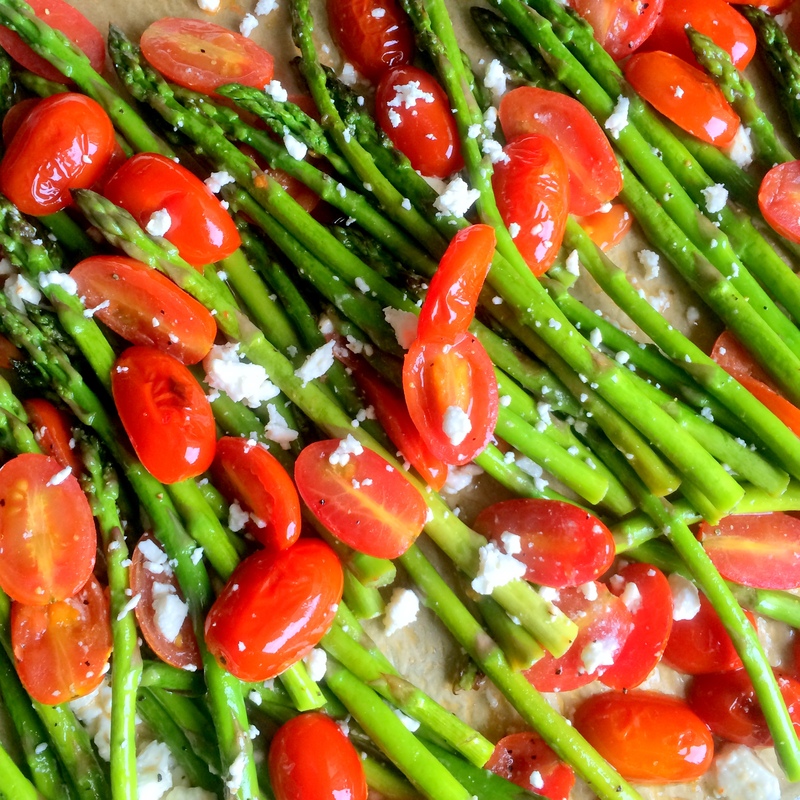 Add asparagus; bake 9 minutes. Top with vinegar, salt, pepper, and crumbled feta cheese. When you are eating healthy, you need healthy snacks, right? 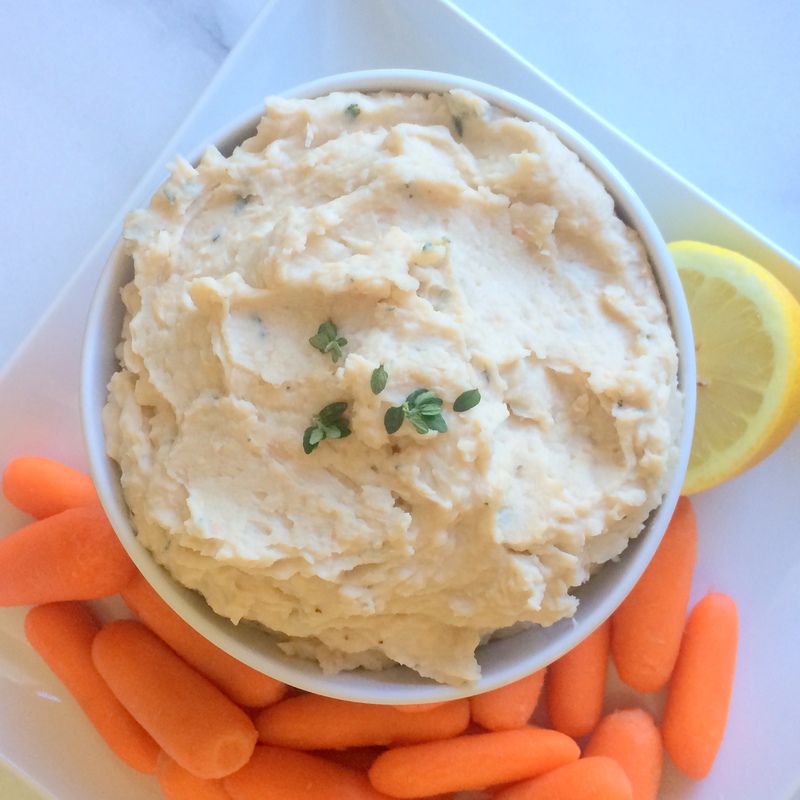 So you buy some baby carrots to have on hand to snack on here or there but after a while you just want to dunk it into some creamy or cheesy dip. Carrots are my quickest go-to when it comes to quick-grab veggies but sometimes, I just can’t eat another one plain. And since I hate cooked carrots more than anything and don’t particularly care for light dressings, I’m left to find myself another way to eat these little guys. Luckily for me, I usually have cans of beans on hand so when I came across this recipe for White Bean Spread, it was like an aha moment. Canned cannellini beans are whirled together with nothing more than lemon juice, fresh thyme, salt and pepper, producing a fiber and protein-filled snack. This vegetarian dip is simple but complex in flavors and one of the easiest things you can make. The lemon juice gives it a real vibrancy and the thyme shines through subtly. I didn’t process the beans all the way so I could have some chunky bites here and there (for those of us who like lumpy mashed potatoes) which made this feel more like a small meal than a snack. This dip is thick and only gets thicker if you put it in the refrigerator but can easily be thinned out with water or additional lemon juice. 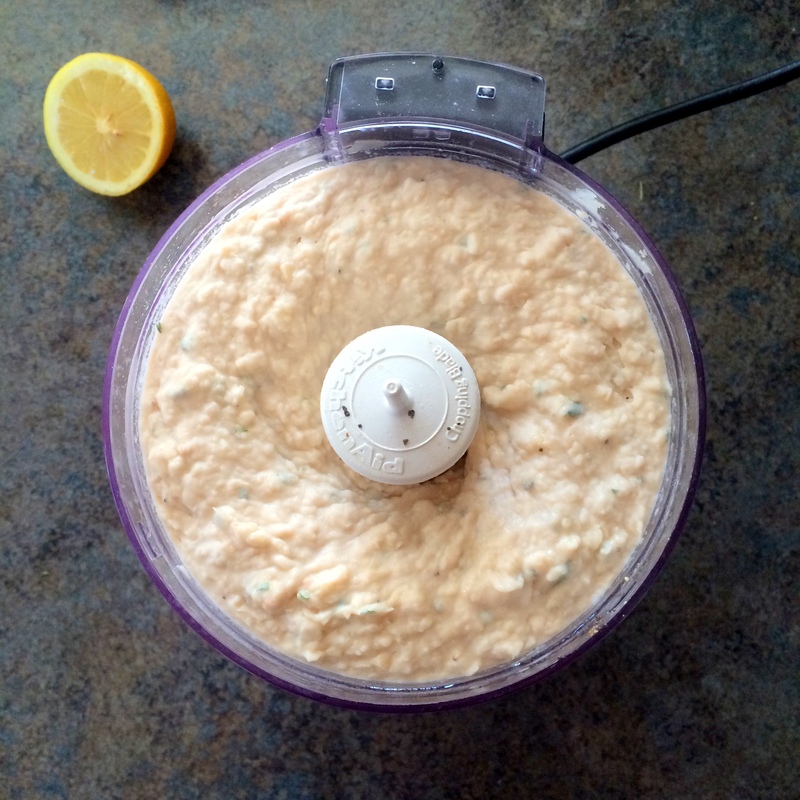 If you are sick of hummus, give this fresh dip a try. 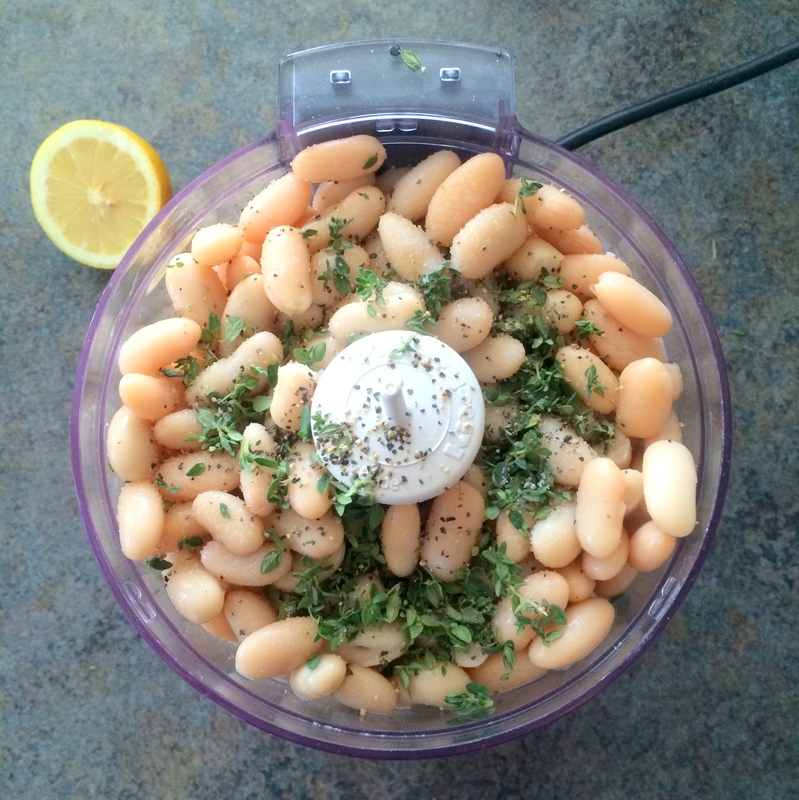 Combine beans, oil, lemon juice, thyme, salt and pepper in a food processor. I’ve mentioned this before but I’m shocked by how little I eat pasta anymore. When I was a vegetarian, it was all I ate. Which may be why I never lost weight. Now, I appreciate a good pasta meal but I don’t crave it (thankfully). I had some milk and cheese in my refrigerator that I didn’t know what to do with and some lingering penne that just never seemed to go away. This is typically how I decide what foods to make – by looking at what’s left in my fridge/pantry. Because even though I love to cook, I don’t love to spend a lot of money at the grocery. 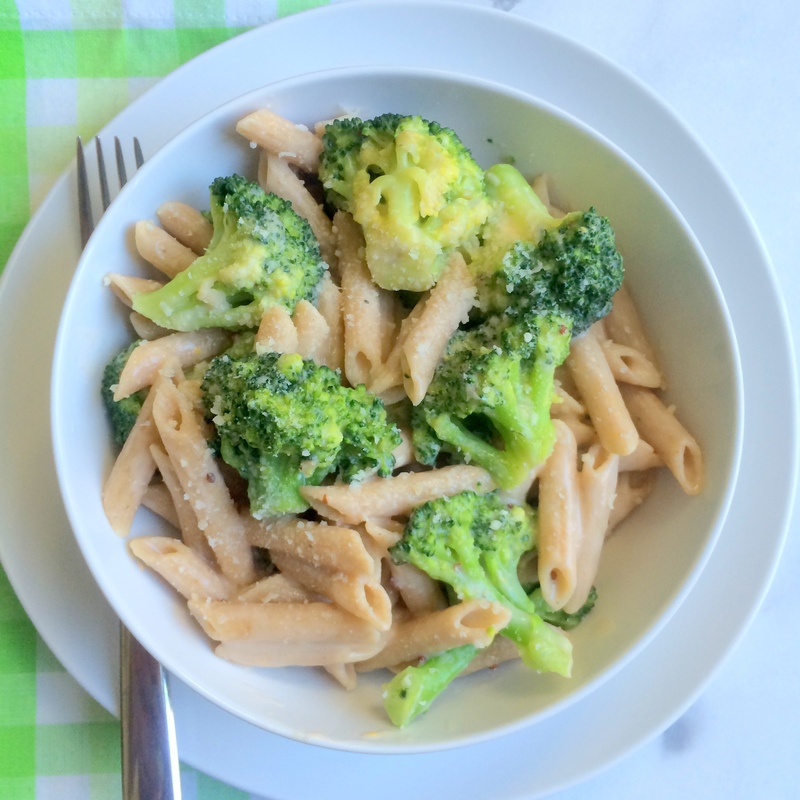 This Cheesy Penne with Broccoli was an easy way for me to use up some leftover staples I had hanging around my kitchen without having to spend a dime. 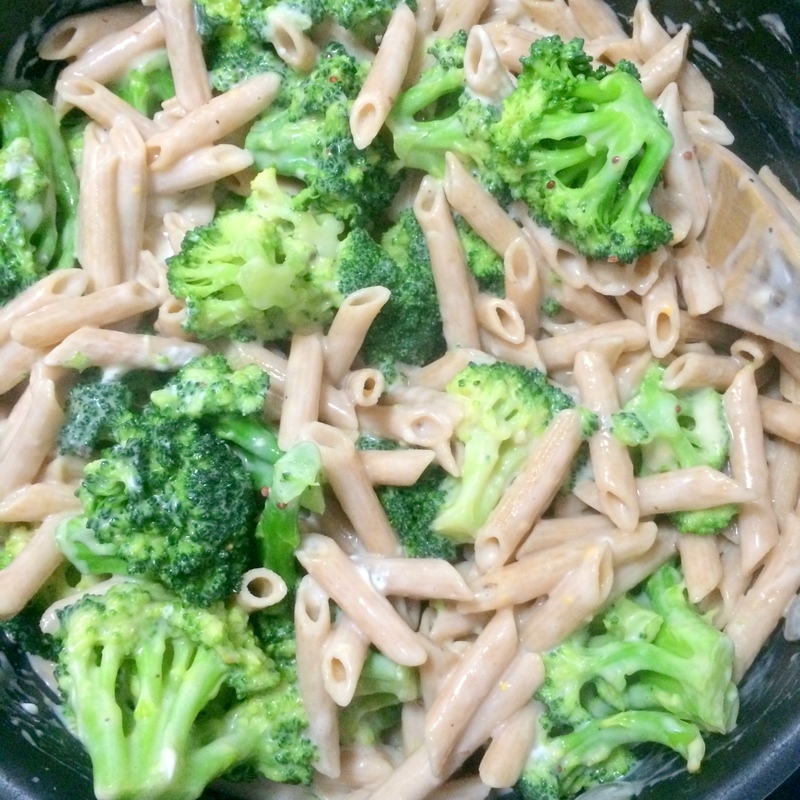 Cream cheese, Parmesan cheese, and cheddar cheese are all melted into an easy milky cream sauce and poured over cooked penne and boiled broccoli. 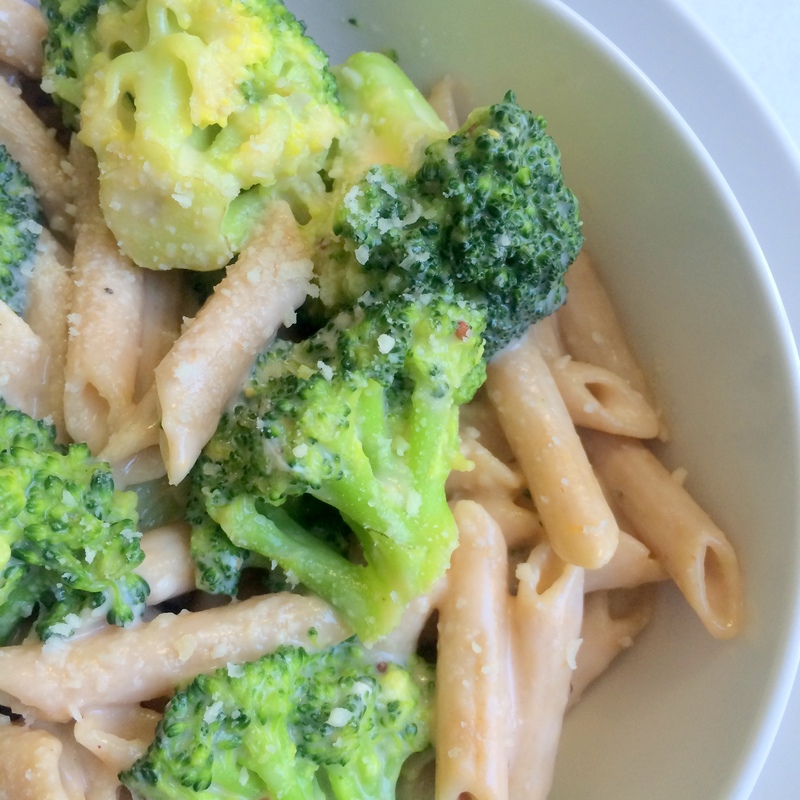 The result is this hearty dish which will satisfy any pasta craving you have. The cheese sauce, even with it’s three cheeses, it light and thin enough to be a backup singer to this song. And even though I get weak (in a good way) when mustard is added to cheese sauce, the best part (in my opinion) is the broccoli. I mean, broccoli and cheese? Yes please. I have to point out that broccoli being my favorite anything is something that never would have come out of my childhood mouth. My how things have changed. Now, I won’t even consider pasta unless it has a veggie in it. Cook pasta according to package directions, omitting salt and fat. During the last 3 minutes of cooking, add broccoli to pan; drain. 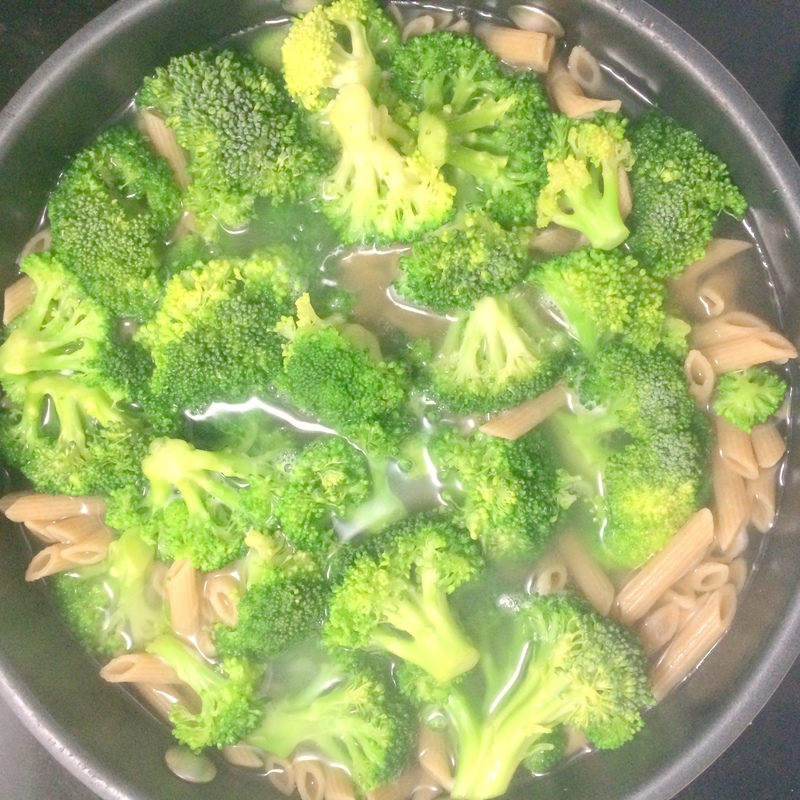 Place pasta and broccoli in a large bowl. 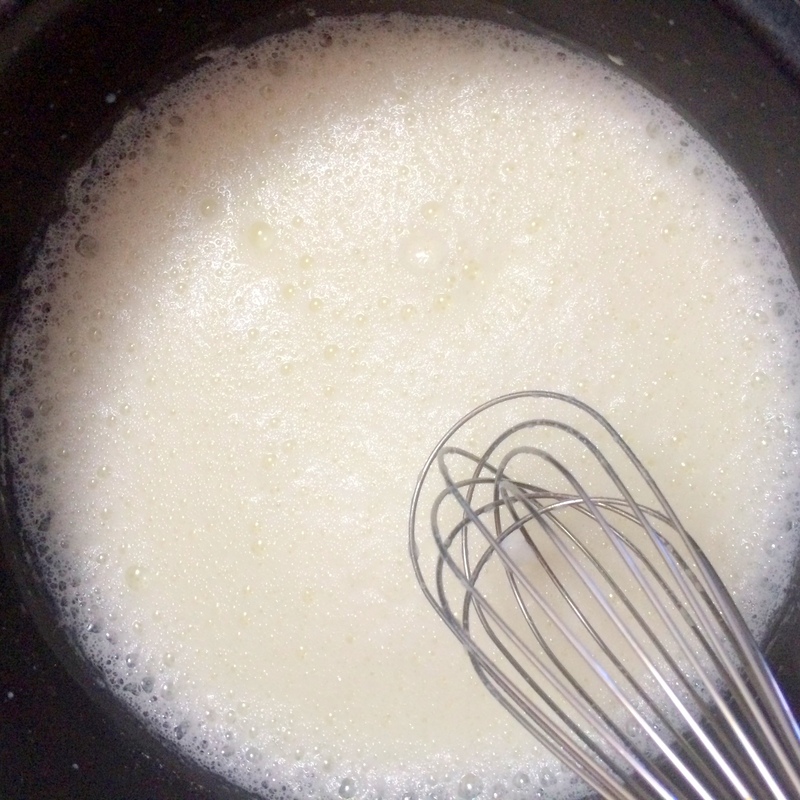 Combine milk and flour in a saucepan over medium heat, stirring with a whisk until smooth. Cook 5 minutes or until slightly thickened; remove from heat. Add 2 tablespoons Parmesan, cream cheese, Dijon, salt, pepper, nutmeg and cheddar cheese, stirring with a whisk until smooth. Add cheese mixture to pasta mixture; toss.